Through a variety of methods, we have been able to greatly improve the social IQ of our son who has Asperger’s syndrome. Emotion cards have been a key tool. When working with a child who is on the autism spectrum, the ability to teach the child to read and understand facial expressions and non-verbal cues is one of the goals. With our son Einstein, we play games. One of these is a simple mimic game where he attempts to mimic my facial expression and repeat the name of the emotion I am displaying. Another very similar game is when I give him an emotion and he attempts to show me the corresponding facial expression. This game is more frustrating for him, but he has made progress with it and is able to display the more overt emotions accurately. The subtle ones still allude him much of the time. These are examples of games that can be played daily that cost nothing and work on important skills. It is important to keep in mind that children who have Asperger’s or are otherwise on the autism spectrum tend to frustrate easily, so keep the games very short and maximize the opportunity for success. The way that I achieve this with my son is to start with a few very overt and easy emotions or facial expressions and give him verbal praise and feedback for his success. I then add a more subtle one that I know will be a challenge for him. 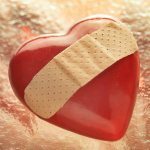 This does bring about frustration and can lead to a meltdown, but I try to keep him on track and praise him for any effort he makes and then I follow quickly by a very easy facial expression that he knows for sure. In this way, we end the game off on a positive note. There are some drawbacks to playing these games though. One is that children on the autism spectrum do not transfer information well from one situation to the next, so in doing the games, I am teaching my son to read only my facial expressions and body language. He then has a harder time transferring that to the faces of others. This is where the use of emotion cards comes in. There are many that are on the market. You also can find some printable ones on the internet. It is very important that these be real human faces. Seeing cartoon faces or emoticons will not help a child with autism in the least. My favourite emotion cards to use are Language Builder Emotion Cards by Stages Learning Materials. This small compact box can be brought with you to appointments and used anywhere. These cards only show a few different emotions (happy, sad, angry, surprised, and disgusted), but these expressions are shown as close-up photos of 8 different men, women and children of a variety of ages and ethnic backgrounds. This makes learning their expressions easier for the child to then transfer to what they will encounter in real interaction with people. As there are several emotion cards for each feeling, there are a variety of games that you can play such as having the child match up the cards that display the same emotion. There are ideas given in the box of different games to play and ways to make them more difficult as the child’s abilities improve. My favourite thing about the Language Builder Emotion Cards is that in addition to the close ups of facial expression photos, they contain pictures depicting interactions between people in different scenarios. On the back of each of these cards are prompts for asking the child questions such as, “what do you think the woman is feeling?”, “how do you think these two people know each other?” or “what do you think might happen next?”. These scenario cards are what I love most about this emotion card box. It is in these scenarios that the child can be taught ways to interpret body language, facial expressions, and the interaction between people. Doing this with a picture instead of a human scenario is less threatening for the child and increases their chance for success. These scenario cards and discussion prompts were very difficult for my son at first, but with patience and continued use, he has improved on his ability to identify emotions and interactions from the pictures. 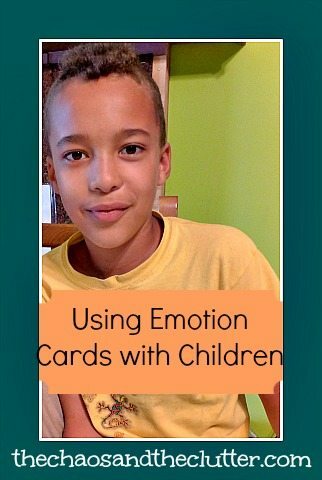 Using emotion cards with children on the autism spectrum can be a very effective tool. Ideally, the emotion cards should be in full colour, depicting expressions on real human faces of a variety of ages and ethnic backgrounds. It is also important to refer to the emotion cards when going about daily routine. If you see your child becoming frustrated at not being able to read a scenario or person’s face in an actual situation, you can quietly ask them if they recognize that look from the emotion cards. As reading facial expressions and communicating are both areas of struggle for my son, working with the emotion cards and picture scenarios has improved his social IQ and ability to function in situations that are uncomfortable for him. I have also used the emotion cards with our daughter with PTSD and RAD as she also struggles with not understanding situations as she perceives danger where there is none. This has proved to be an effective tool to increase discussion and learning opportunities with her as well. I am totally going to share this with a friend of mine. Einstein is so handsome! Hooray for baby steps!